ManyCam can slow down your computer for a variety of reasons. This article describes the most common solutions to this problem. Navigate to ManyCam menu -> General and enable Hardware Acceleration. Before doing so, make sure it’s not crucial for your workflow. Navigate to ManyCam’s Video Tab and select the required resolution. Try 720p or 480p first and see if this improved the performance. 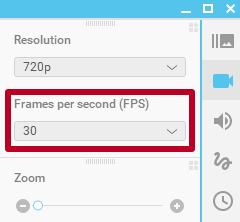 FPS is the frequency (rate) at which consecutive images called frames are displayed in ManyCam.The higher the FPS value, the more smooth your videos are going to look, however higher FPS rate will also require more computational resources. Try lower this value down to 15-20 frames. 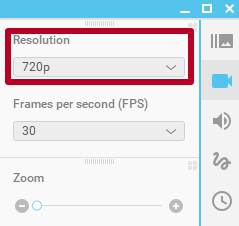 This setting is located under the resolution in the Video Tab. 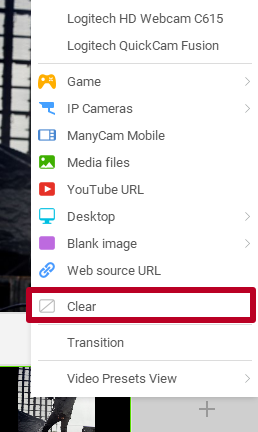 Right-click on the inactive preset and select Clear from the drop-down list. Before doing so, make sure you are not going to need this preset during the event you’ve planned. In most cases, your computer slows down due to the high CPU usage. It is recommended that you use 2nd generation Intel Core i5 processor or higher. Please also make sure your machine meets our System Requirements. For Windows only. Windows 8.1 or higher is required to use this feature. 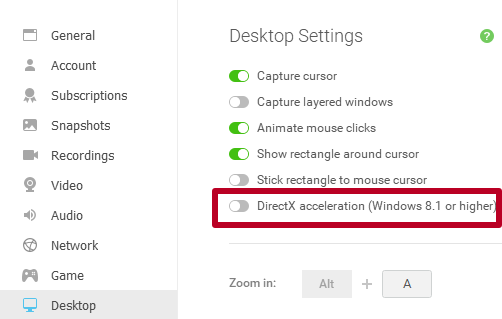 Navigate to ManyCam menu -> Desktop and enable DirectX Acceleration.